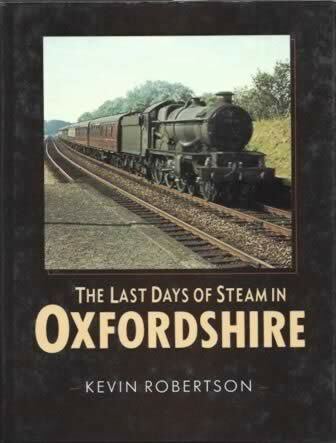 The Last Days of Steam in Oxfordshire. This book has been written by Kevin Robertson and was published by Sutton Publishing. An image is shown for your information and if you click on this picture a scan of the inside sleeve from the book will be displayed.